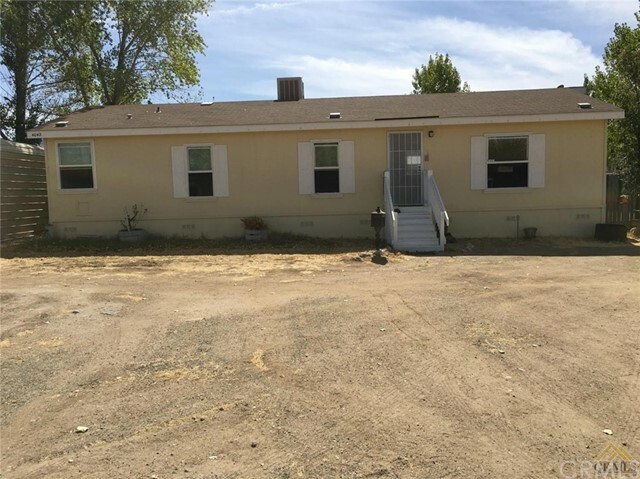 All Cuyama homes currently listed for sale in Cuyama as of 04/25/2019 are shown below. You can change the search criteria at any time by pressing the 'Change Search' button below. If you have any questions or you would like more information about any Cuyama homes for sale or other Cuyama real estate, please contact us and one of our knowledgeable Cuyama REALTORS® would be pleased to assist you. "Immaculate home on just under a half acre. Large kitchen with built in desk area, indoor laundry room, Spa tub in Master Suite. Outbuildings consist of a wooden storage shed, detached garage(Metal) with Roll Up door and regular door. A grand Chicken Coop! 'There are also raised garden beds. Back yard is completely fenced with Redwood. Plus a covered patio or gazebo area with views of hills, vineyards and Pistachio orchards. The MH. is on a Permanent Foundation, earthquake piers. Has 2500gal.water storage tank for SBCFD as well as all fire safety upgrades in home. Truly an exceptional home for someone wanting a bit of country but not too far from amenities of town. Home is 1,254sq.'"